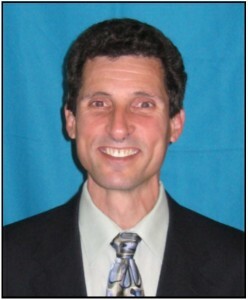 Steven C. Scherr, D.D.S. is dental director of AADSM accredited dental sleep medicine facilities in Pikesville and Bel Air, providing oral therapeutics for the treatment of obstructive sleep apnea and snoring. He is a Diplomate of the American Board of Dental Sleep Medicine (not an ADA recognized specialty), and is currently Secretary-Treasurer of the Board of Directors of the ABDSM. He is an at-large Director of the American Academy of Dental Sleep Medicine (AADSM), having chaired the task force that developed dental sleep medicine facility accreditation standards. He most recently chaired an AADSM consensus conference which developed an empirical definition of an effective oral appliance. Dr. Scherr is the Johns Hopkins Medical School Sleep Disorders Fellowship Program Local Program Director for oral appliance therapy training. He works directly with sleep physicians, technologists, and support staff at nearly 20 central and northern Maryland Sleep Disorders Centers/Labs on an ongoing basis. Dr. Scherr is Secretary of the Board of Directors of the Maryland Sleep Society, and has co-authored several educational and research publications related to dental sleep medicine. Dr. Scherr is married to his high school sweetheart, Marcia. Their life is enriched by their daughter, son, daughter-in-law, and grandson.